Journalist Chris Baxter is at a crossroads. When he returns with his teenage daughter to live with his mother Susan in the beautiful township of Neverend, Chris hopes to pick up the pieces after his life takes an unexpected turn. But life in the small town turns out to be far from idyllic. Soon Chris discovers that opportunities for employment are few and far between and it's not long before he finds himself in increasingly dire financial straits. 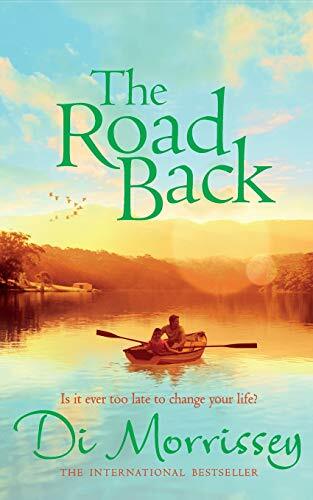 He thinks his prayers are answered when Susan attends the forty-year reunion of an Australian diplomatic trip to Indonesia, and he smells a story in the unusual circumstances surrounding the death of one of the members of the group. But as he begins to investigate, strange threatening occurrences begin to strike the family, and the peace of the small town by the river is shattered. As the intimidation increases, so does Chris' determination to uncover the truth. With his family in peril, Chris frantically searches for answers, before it's too late. Sometimes taking the road back is the start of a journey forward. Journalist Chris Baxter finds himself at a crossroads when his life takes an unexpected turn. Hoping to pick up the pieces, he and his teenage daughter move back to his childhood home in New South Wales to live with his mother, Susan. But life in the beautiful riverside town of Neverend turns out to be far from idyllic. Chris soon discovers that opportunities for employment are scarce, and it's not long before he finds himself in increasingly dire financial straits. Then Susan is invited to the reunion of a group of Australians who travelled to Indonesia forty years ago on a graduate programme. The aim was to foster friendship between the two countries but the mission went badly wrong, ending with the death of one of the group. When Chris hears what happened, he smells a story and begins to investigate. But soon, strange events start to threaten the family and the peace of the small town is shattered. As the intimidation grows, so does Chris's determination to uncover the truth. With his family in peril, he frantically searches for answers - before it's too late.